Eating outside a standard diet doesn’t have to mean deprivation. Navigating a specific way of eating can be challenging, but it doesn’t have to be. Discover more about how to shop and eat for your special diet. Plus, get great recipes and resources for learning more. The 8 most common food allergies and how to eat around them. Following this guide can help you prepare a meal for someone with food allergies or other special eating needs. 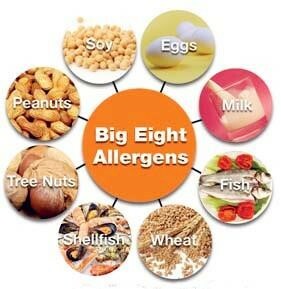 Hidden sources are not as elusive as they were before it became mandatory to list, in plain language, ingredients derived from the “Big Eight” allergens. But you still need to read labels. We’ve simplified that job by identifying some foods in which these risky ingredients are common. We also offer ways to modify favourite dishes so all can enjoy them. Note: The information in this article is not a substitute for professional medical advice. Since allergies and intolerances are quite variable, it’s best to ask your guests about their specific restrictions before you start planning a dinner menu. Foods to Avoid: Cow’s milk and all food products—including butter, buttermilk, cheese, cream cheese, cream, half and half, ice cream, cottage cheese, yogurt, pudding, sour cream—made from it. Plus, many (but not all) people who are allergic to cow’s milk are sensitive to proteins in goat’s milk and sheep’s milk too. Common Hidden Sources: Deli meats and hot dogs, veggie burgers, sorbet, canned tuna, chocolate, non-dairy creamers, commercial breads and rolls, salad dressings and mayonnaise. One of the easiest substitutions to make is for butter: simply use a dairy-free margarine instead. However, you may need to do some searching and taste-testing to find the best dairy-free margarine available in your area, as a good margarine can make a big difference in many recipes. For baked goods, try to find a dairy-free margarine with a low water content and high fat content (e.g., if you melt a stick of margarine, it should not be mostly water). Margarines with high water content produce inferior baked goods. Soy-based “yogurt,” “sour cream,” and “cream cheese” products are available at natural products grocers. These generally work very well in recipes, although as “stand-alone” products they do not necessarily taste “just like” their dairy-based counterparts. Dairy-free cheeses are a bit of a challenge. Soy cheeses do not taste or melt like traditional dairy cheeses. In most cases, soy cheese will not appear melted, but will in fact be melted inside. Soy cheese does not work well in recipes for cheese sauces. If you would like to make a dairy-free “cheese sauce,” check our Safe Eats™ recipe database for “cheese sauce” recipes based on nutritional yeast or soy. There are currently a number of commercially-produced liquid soy, rice, potato and oat milks, most of which are available in a few different flavours (such as “regular,” “vanilla,” “chocolate,” and “mocha”). All of these milks can be substituted 1-for-1 in recipes. Although almond milk is also available, careful consideration should be given to the wisdom of introducing tree nuts to an already food-allergic person. Coconut milk is also available, but the U.S. Food and Drug Administration (FDA) reclassified coconut as a tree nut. Experts say that coconut is a seed of a drupaceous fruit and not a nut, and those with nut allergy infrequently also have a coconut allergy. However, it is safest to check with your doctor about the suitability of using almond milk or coconut milk before using either. In general, soy milk is considered “hearty” among the non-dairy beverages, and is excellent when you are craving something thick and creamy. The plain varieties have a faintly sweet and nutty flavour. cow’s milk in all baking needs, over cereal, for pancakes and waffles, in smoothies, or straight from the glass. The unsweetened varieties work equally well in savoury dishes. Rice milk is best avoided in the broader savoury foods arena. Oat milk has been successfully trialed as a substitute for cow’s milk in both sweet and savoury dishes. You can make your own sweetened condensed milk substitute by making a “safe” evaporated milk and adding sugar. Evaporated milk is milk that has water content reduced by 60%. Simmer any quantity of soy or rice milk in a pan until it reduced by 60% to get evaporated milk. Approximately 3 cups of rice or soy milk will leave 1 cup of evaporated milk left at the end. Be careful not to scald it. For sweetened condensed milk, mix one cup of evaporated milk with 1-1/4 cups of sugar. Heat until the sugar is completely dissolved. Cool. It will yield 1-1/2 cups of evaporated milk substitute. It will keep in the refrigerator for several days. Another alternative for evaporated milk is to substitute coconut milk 1:1 in the recipe. This will impart a coconut flavour to the recipe, so it works in some recipes but not all. You can use soy creamers or light coconut milk as substitutes for light cream. Full fat coconut milk can be substituted for heavy cream. A coconut milk substitute will impart a coconut flavour to a recipe, so it will work for some recipes, but not all.